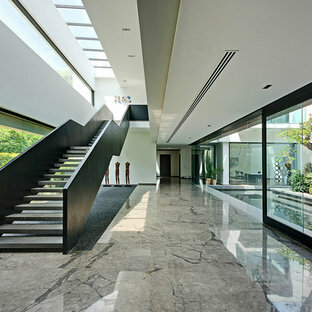 Staircases can take a home to greater heights; literally. Stairs are much more than a link between two levels or spaces at home, they are the focal point that makes an ordinary home look spectacular. 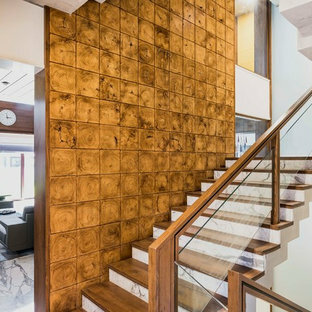 With a wide variety of staircase designs and styles, you can use a gamut of material like wood, glass, metal among many others. 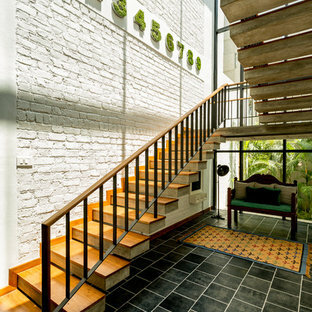 The staircase can be gradual or steep, wide or narrow, purely functional or showy and grand. 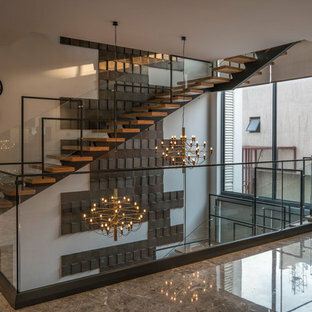 By adding a unique staircase design with interesting railings and materials, or updating an existing structure with a bit of decor or a new finish, you can change their overall look. Look through some fantastic ideas of spiral staircases, floating staircases, and clever loft stairs and read on to understand how to choose a perfect staircase design for your home. What stair design will work best for me? 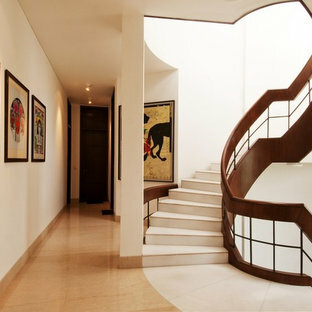 Given the variety of staircase designs available, there is a lot to take into consideration before picking the most suitable one for your home. 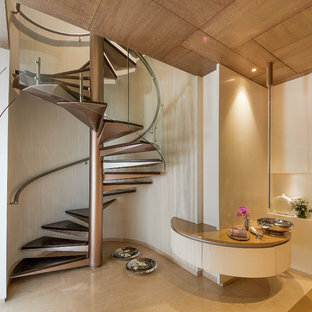 The first consideration when planning any staircase is space, followed by the ease of use and feel of your home. 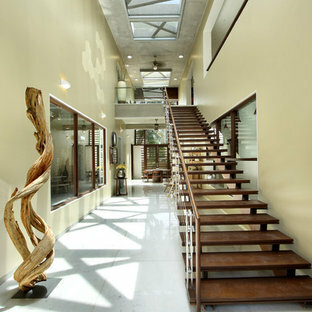 Depending on the space and the purpose you can pick the design of the staircase. Like a double-sided staircase only works in a large entrance and U- or L-shaped staircases are recommended for smaller entrances. If you’re set on achieving the look of a grand entrance, try to work with a curved design that will really showcase the railings and any other unique features. Also, spiral staircases are the most efficient option for smaller homes, though they may not be the easiest to climb, they do give a quirky and fun feel to the home. What type of material should I use for staircase? The look of your stairs should coordinate with the rest of your house, so try to pick a material and design that suits the style of your home. If you want the staircase to stand out and be the focal point think about mixing styles but remember to pick styles that are not too dramatic like modern and traditional. For example, if you have a traditional Indian home, you can opt for a wooden staircase and add a few tiles on the steps to give it a Mediterranean look. Remember to think about the functionality while thinking of the material. Some of the other popular options are metal and glass. 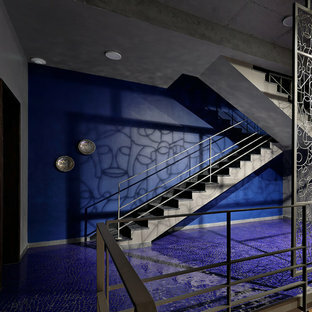 A combination of metal and glass will open by a variety of designs. How do I decorate my staircase? 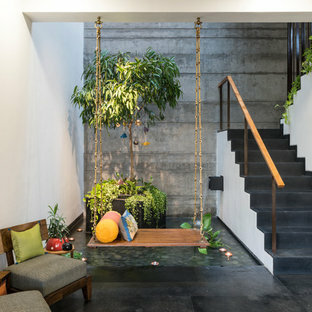 Given how functional the staircase is, most people forget there to add a few extra decor elements. Your staircase can be an opportunity to inject some colour or personality into your overall design scheme. An update can be as simple as a coat of paint or adding a properly fitted stair runner. Don’t forget to look through the never-ending choices of handrails and balustrade, these help in adding character to the stairs. To give your staircase railings a new look, you can jazz them up by painting them in a multi-tonal palette of complementary colours or graduating between dark and light. A chandelier over a staircase can add a final, dramatic touch; if you prefer a more subtle way to illuminate your stairs, consider recessed floor-level lighting for an atmospheric. 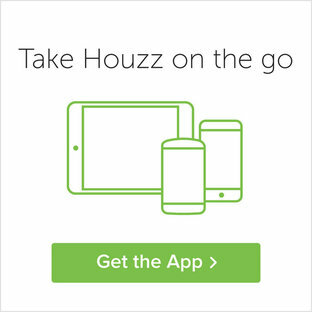 You can find more home designs, rooms and decor ideas on Houzz. By AADITYA HVAC SOLUTIONS PVT. LTD.